Available April 19. Pre-order now! In short, this book is meant to help us all lead more meaningful lives. But it’s also a provocative social commentary. We live in a society, Brooks argues, that celebrates freedom, that tells us to be true to ourselves, at the expense of surrendering to a cause, rooting ourselves in a neighborhood, binding ourselves to others by social solidarity and love. We have taken individualism to the extreme—and in the process we have torn the social fabric in a thousand different ways. The path to repair is through making deeper commitments. 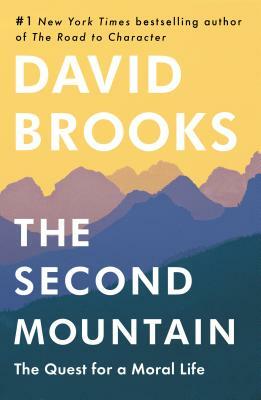 In The Second Mountain,Brooks shows what can happen when we put commitment-making at the center of our lives.